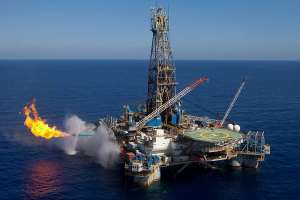 IMANI Africa is raising flags over potential revenue loses the country is likely to incur over the discovery of new oil deposits in the country. According to IMANI, Ghana is likely to lose $4.8 billion if the agreement with Aker Energy is not renegotiated. Early this year, Aker Energy announced the discovery of oil in the Pecan well in the Deepwater Tano Cape Three Points (DWT/CTP) block offshore Ghana. The company explained that initial works done showed that its Pecan well in the block could be holding some 450 to 550 million barrels of oil. The Pecan field is approximately 166 kilometres southwest of Takoradi in Ghana, to a vertical depth of 4,870 meters in 2,667 meters of water, containing seven discoveries. According to the company it estimates that with the next appraisal wells to be drilled, the total volumes to be included in a Plan of Development have the potential to increase to between 600 – 1,000 barrels of oil. IMANI Africa in a statement insisted that the amount of money Ghana stands to gain is woefully inadequate and that the country is likely to lose huge sums of money due to improper negotiations. “As things stand, Ghana stands to gain a paltry 14% of increased equity interest and royalties (10% interest in block + 4% royalty) amounting to $4.2 bn in the short term, representing a potential loss of $4.8 billion – that is, $9bn less $4.2 bn,” the policy think tank added in its statement.